Searchable, cover to cover, page image archive of Life Magazine, from November 1936 (issue 1) to December 2000. Includes photographs, and coverage of numerous events and subject areas. National and regional newspapers predominantly from the 1920s related to the Ku Klux Klan (KKK). This Reveal Digital collection is a work in progress, and titles will be added through 2018, at which point this will be an open access collection. Alternative press and underground newspapers, magazines and journals from the 1960s to 1980s, including feminist, LGBT, minority, campus, community, GI, right-wing, and small literary presses. Provides access to service newspapers from the British Library; Imperial War Museums; US Army Heritage and Education Center, US Army War College; Alexander Turnbull Library, National Library of New Zealand; Berlin State Library - Prussian Cultural Heritage. POLITICO Pro is a policy news reporting service that provides policy professionals and students the in-depth, real-time, and archived policy news essential for their research and awareness needs. POLITICO Pro provides dedicated coverage of 15 policy areas spanning the entire policy landscape and include: Agriculture, Budget & Appropriations, Campaigns, Cybersecurity, Defense, Education, eHealth, Energy, Financial Services, Health Care, Labor & Employment, Tax, Technology, Trade, and Transportation. POLITICO Pro specifically tracks news from a policy perspective, reporting on the key influencers (law makers, coalitions, agencies, corporations, committees, etc.) as well as the legislative, regulatory, and political impact of their actions, while offering critical intelligence and analysis on what’s to come next. Politico - Is It True? Journalists at Politico in 2018 have launched, "Is It True? - A Fake News Database." That effort compiles online news that is a hoax, doctored or impostor news publications. Politico accepts submissions from the public of news content falling into these categories. For more information, visit Is It True? About This Project. A research platform focusing on the Democratic People’s Republic of Korea (North Korea). Access proprietary and open source information, including on DPRK companies and trade, a DPRK experts list, economic indicators, import/export data and ship movements, leadership biographies, long form research analysis, and archives of KCNR (“Korean Central News Agency”) television news. Aggregates hundreds of news, think-tank, blog and academic sources known for reliable DPRK coverage. Access more than 15,000 news, business and legal sources from LexisNexis—including U.S. Supreme Court decisions dating back to 1790, together with extensive current and historical U.S. state and federal statutes, published court decisions and regulations. Registering for a free ID and password within the interface is recommended for those looking to take advantage of personalization features such as alerts, saved searches and a collaborative workspace with shared folders and annotated documents. PDFs with overviews of Nexis Uni, user search tips, permalinking options, etc. Syracuse University Libraries purchases and provides access to a wide variety of information sources (e.g., books, journals, DVDs, electronic resources) in all areas of political science. To find out more about these sources, please explore the links on this page and on this guide's menu bar. Provides access to full text of more than 150 journals in political science and international relations, with coverage from 1985 to the present.This collection provides full-text coverage of many core titles included in Worldwide Political Science Abstracts. In Writing Public Policy: A Practical Guide to Communicating in the Policy Making Process, Fifth Edition, Catherine F. Smith presents a general method for planning, producing, accessing, and critically analyzing communications in a variety of real-life public policy contexts and situations.This practical, concise guide is ideal for students preparing for careers in politics, government, public relations, law, public policy, journalism, social work, or in any role related to public affairs. In this completely revised edition, Bill Coplin continues to prepare the next generation of leaders to bring their hearts and minds to solving the many problems that we face in the twenty-first century. The book teaches students the essential components for public policy analysis; how to get information from published sources and individuals; how to survey stakeholders; formulate public policy; examine costs and benefits of a policy; develop political strategies; write a briefing paper; among other skills. This guide has been designed to help undergraduates develop an understanding of practical research methods, and their application in the undergraduate dissertation. Written in an accessible and engaging style, it offers advice on all aspects of undergraduate research, from choosing a dissertation subject through to presenting the finished article. Features of this book: concise chapters which provide an introduction to various aspects of research methods, including: why it is important; quantitative and qualitative methods; and practical application advice, hints and tips on planning, presenting, researching and writing undergraduate dissertations a wide range of examples of research to clearly illustrate different issues and methods which students may encounter guides to further reading and thinking at the end of each chapter. Once inside Data-Planet Statistical Datasets, look toward the left of the screen for a series of subject folders. The "International" folder draws datapoints from sources such as the International Monetary Fund, World Bank, United Nations and China Data Center as well as World Resource Institute environmental data. Additional categories cover foreign labor statistics, population change/migration, and balance of trade data. Data categories covered for the U.S. include education, commerce, housing and construction, population and income, prices and cost of living, energy, health, labor & employment, banking, finance and insurance. Variables can be cross-compared using side by side tables and charts. Social media for all three U.S. federal government branches. Access documents like the Congressional Record, hearing transcripts, or press releases, alongside YouTube uploads, Twitter and Facebook posts from agencies and individual officials. Filter search results by date, political party, government branch, committee name, U.S. state, gender, or policy topic. Provides access to over 62,000 streaming videos on a wide range of subjects from a variety of providers, for example, CBS, PBS, BBC, Bloomberg, and The Open University. Content includes documentaries, newsreels and programs, interviews, performances and more. One of the largest academic streaming video collections in the market, containing tens of thousands of educational titles, and also U.S. and international feature films. Kanopy partners with over 800 producers, including the Criterion Collection/Janus Films, Kino Lorber, First Run Features, PBS, BBC, California Newsreel, Media Education Foundation and more. New titles are added continuously. Subjects cover all academic disciplines and include technical training videos. Video links may be embedded into instructional courseware systems like Blackboard. Some titles include transcripts and closed captioning. The platform video player is WCAG-compliant. 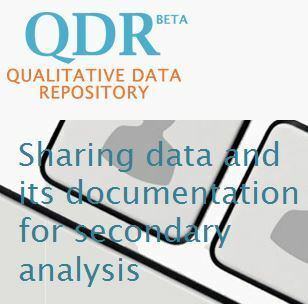 The Qualitative Data Repository (QDR) is a dedicated archive for storing and sharing digital data (and accompanying documentation) generated or collected through qualitative and multi-method research in the social sciences. QDR provides search tools to facilitate the discovery of data, and also serves as a portal to material beyond its own holdings, with links to U.S. and international archives. The repository’s initial emphasis is on political science. QDR is funded by the National Science Foundation, and hosted by the Center for Qualitative and Multi-Method Inquiry, a unit of the Maxwell School of Citizenship and Public Affairs at Syracuse University. 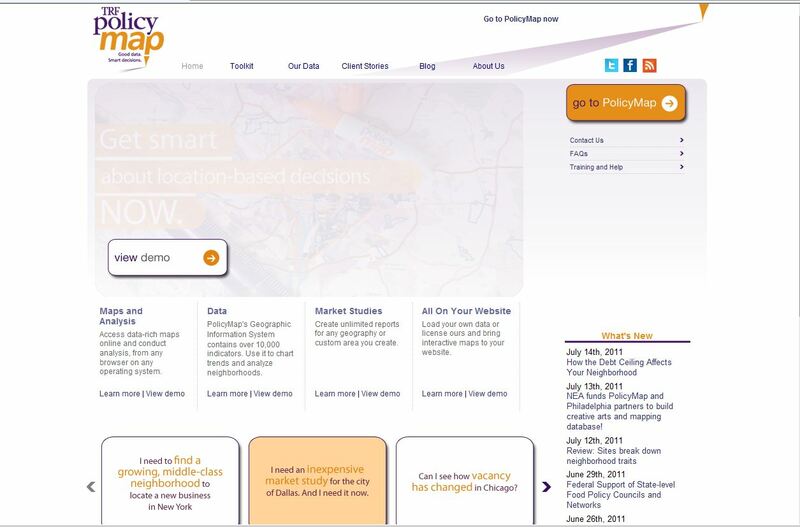 Policy Map is a geographic information system which allows you to easily create and customize maps, tables, and charts detailing various U.S. demographics, real estate, crime, money & income, jobs, education, energy, and public investments. Congress.gov makes federal United States legislative information freely available to the public. Launched Sept. 19, 2012, this site is a successor to THOMAS.gov, the previous public site for legislative information.